The modern use of metals to construct furniture dates back to cast iron tables created in the early 19th century; contemporary designers seeking custom parts still frequently rely on metal for the construction of high quality furniture. Metal furniture not only remains durable and strong throughout its lifetime, but it also offers construction flexibility and deeply pleasing aesthetics. While many metal forming processes exist for furniture construction, one of the best methods to create attractive and complex furniture projects is metal spinning. Working with materials like steel, metal spinning can be used to create custom furniture to match precise design specifications. Custom steel products feature high strength and excellent work hardening rates, but also remain highly machinable—allowing for spinning into virtually any custom shape that procurers require. Available dimensions include thicknesses from 0.040” to 0.135”, widths up to 24” in diameter, and heights up to 40”. The design flexibility of custom steel furniture allows customers to request pieces ranging from classic to contemporary or more modern industrial stylings with a breadth of aesthetic finishing options, including polish, chrome, paint, and satin brush finish. Depending on design specifications, steel can take on a full array of custom looks, textures, and colors with satin, matte, reflective, mirror, bead blasted, or other finishes. This allows for maximum flexibility in sourcing furniture components of many different looks—all while maintaining the highest quality. To create components like metal table columns and chair bases, it is imperative to use materials that can maintain strength as well as beauty. Steel not only offers the strength needed for furniture applications, but also offers excellent longevity with minimal maintenance. A range of methods can be used to augment and complete the metal spinning process; welding, hydroforming, and other metal-working processes are also employed in fabricating furniture from steel. At Helander Metal Spinning Company, we offer a full variety of metalworking processes to manufacture furniture that fulfills our customers’ exact specifications. We also provide a variety of finishes to create furniture offer the most pleasing aesthetics with superior strength. To learn more about metal spinning and how it can add a unique and distinctive style to custom furniture, check out our latest eBook: Metal Spinning = Cost Effective Metal Forming. In it, you will learn about the process’s many advantages, including its flexibility, excellent metal yield, reduced material requirements, and more—all essential for custom furniture and a wealth of other applications. In the world of food processing, manufacturing the highest quality equipment is of paramount importance. Not only does food need to be kept safe, but the equipment itself must be able to function smoothly even in the most difficult industrial conditions. Food processing equipment needs to endure high temperatures and resist corrosion in damp environments. While there are a number of different materials and processes that are commonly used to manufacture this equipment, metal spinning using stainless steel allows for highly durable equipment that meets customers’ exact specifications. Corrosion-resistant, easy to clean, and recognized worldwide for its adherence to tough quality standards, stainless steel is known for being an excellent material for food processing equipment. Corrosion-resistant —The material is known for maintaining smooth surfaces even years after manufacture. Highly Durable — Its excellent longevity comes from unparalleled corrosion resistance, saving money in the long run by reducing maintenance, repair and replacement frequency. Recyclable—An environmentally friendly metal, stainless steel is not only 100% recyclable, but it can also be easily cleaned. This eliminates the need for harsh, aggressive chemicals that would then be added to wastewater. Excellent Flavor Protection—Stainless steel is completely non-reactive when it comes into contact with food; it does not take on any odor or flavor of food during manufacturing. This not only ensures the quality of the food, but also makes steel processing equipment easier to clean and re-use multiples times. The Most Hygienic Metal—When sanitation is of the utmost importance, stainless steel is an excellent choice. The material is easy to clean and does not have any pores, which means that it will never retain dirt or bacteria when cleaned properly. Meets All Relevant Standards—Parts made from stainless steel meet all applicable legislation and standards, including National Sanitation Foundation (NSF) guidelines and US CFR 21, part 110, subpart C, Sec. 110.40. While a number of different processing methods can be used to manufacture commercial food equipment, metal spinning and hydroforming are among the strongest options. Each method is highly efficient when compared to other processes, such as metal stamping. Not only do metal spinning and hydroforming reduce scrap and material costs associated with stamping, but they also allow for maximum flexibility in equipment design. These processes allow procurement professionals to fulfill almost any design specification, from heavy duty industrial cooking kettles to decorative bottles and more. At Helander, we lead the industry in manufacturing the highest quality commercial food equipment. Using a broad range of processes, including hydroforming, metal spinning, and welding, along with a complete array of finishing options, we manufacture every component to be ISO 9001:2008, AS9100 Rev. C certified. This guarantees the highest quality at every step of the process. To find out more about how Helander can help you fulfill your most demanding requirements for food processing equipment, please contact us. Helander Metal Spinning Company is proud to have received an ASME “U” Stamp for our boiler and pressure vessel products. We have always been committed to quality and reliability, but what does this ASME compliance mean for you and your applications? ASME is an organization that allows engineers from all disciplines to share their knowledge and develop their skills through collaboration. Currently, the organization has more than 140,000 members across 151 countries. These members are college students, project managers, researchers, executives, and more. Along with membership, ASME is capable of providing codes and standards across both private and public manufacturing industries. With such a broad reach, ASME safety standards apply across many different products and a range of applications. We have been certified as ASME compliant as an extension of our commitment to providing high-quality, ASME-compliant parts. 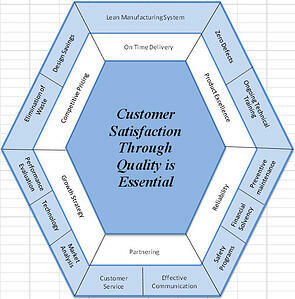 We always strive to meet all requirements put forth from the client and regulatory standards. We apply our high standards to the fabrication of float products, pressure vessels, and pressure heads. Float Products – Our precision hydroforming and welding processes allow Helander to engineer and fabricate custom components for float valves. These products will meet or exceed the highest standards set by both our clients and all applicable regulations. We can provide a vast range of shapes and sizes in order to accommodate even the most demanding applications in industrial processes. Pressure Vessels – Using a specialized hot spinning process, Helander is capable of producing seamless pressure vessels for use as gas storage reservoirs. 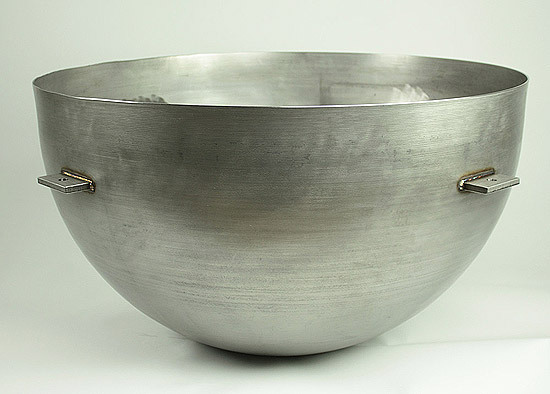 Vessels can be produced with or without bottlenecks, depending on customer requirements, and can be produced with stainless steel, mild steel, aluminum, and more. Pressure Heads – Vessel pressure head products can be produced through either our high-precision hydroforming capabilities or through our metal spinning process. 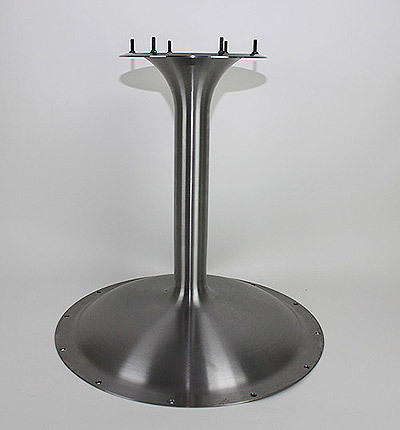 Each of these heads can then be welded to the body of the pressure vessel, and are guaranteed to meet all ASME standards, as well as your own specifications. 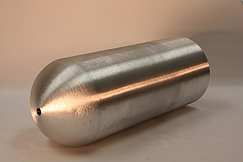 If you are in need of pressure heads, pressure vessels, or float products, we can provide you with materials that meet all of your requirements. Our adherence to ASME standards for boiler and pressure vessels ensures that the finished product provides you with the highest quality and longest life possible. For more information on our products and how we can assist with your needs, contact Helander Metal Spinning today. While you're here, check out our eBook, Metal Spinning and Hydroforming- The Stamping Alternative, by clicking the link below. The metal spinning process consists of a tube or a disc of metal that is rotated at high-speed and machined into an axially symmetrical product using either a vertical or horizontal lathe. The advantage of spinning over other forming processes is its capacity to create seamless products from a single piece of material, with relatively low-cost tooling. Without seams, parts can withstand much higher internal and external pressures. You will typically find spun metal components in decorative and architectural parts. Spun metal parts are also featured in variety of machines, cookware, gas cylinders, and brass instruments, and can be made from a variety of materials. Let's discuss the three most common materials for spinning. When considering material choices for spun parts, the most important factors are cost, the finished part's desired shape, and the application. It is well known that commodity prices fluctuate based on global supply and demand forces, fuel prices, and input material costs, but steel is generally a cheaper option than most other metals. Steel is an extremely durable material, and much harder than aluminum. Its strength makes it less prone to warping, deformation, and bending under high forces or heat stress. Moreover, steel is a very dense material. In fact, it is 2.5-times denser than aluminum. This ensures that steel spun parts will not dent or scratch easily. While aluminum is generally a more expensive option, it is more malleable and elastic than steel. It can therefore be used to create shapes with deeper and more intricate features – shapes that would end up cracking or ripping if spun with steel. In addition to its malleability, aluminum is naturally resistant to corrosion and does not rust, and therefore it does not require any surface treatment after spinning. Since coating/painting is not required, you do not have to worry about scratching and surface wear, exposing the part to corrosion. This makes aluminum the natural choice for wet or abrasive environments. Copper, along with steel and aluminum, is one of the most commonly used materials in metal spinning. It is non-magnetic, versatile, and aesthetically appealing. Typically, copper is a more expensive option than aluminum or steel. It is particularly known for its exceptional thermal and electrical conductivity, corrosion resistance, high ductility/workability, recyclability, and antimicrobial natural. Interestingly, its tensile strength actually doubles when work-hardened. 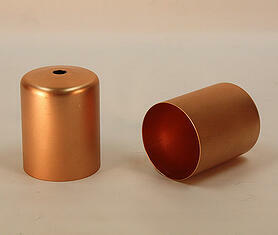 Moreover, copper is a soft metal that is easy to work with. Copper spun parts are often used for lighting, medical equipment, pipes and sinks, roofing, and decorative applications such as jewelry. In addition to steel, aluminum, and copper, Helander also manufactures spun parts using a variety of other metals such as Inconel, Hastelloy, titanium, bronze, and brass, each with their associated pros and cons. Metal spinning is often the best choice for symmetrical parts because of the seamless construction, low-cost tooling, and low levels of wasted material. A variety of metals can be formed into spun parts: the right choice depends on the cost requirements, the shape of the part, and the working conditions. Steel is a low-cost material offering high strength and durability, while aluminum permits more complex part shapes and a greater resistance to corrosion. Copper is like aluminum in many ways, but is typically more expensive. For this reason, copper is often appropriate for applications where its aesthetic properties outweigh its high cost. Contact us to learn more about our metal spinning capabilities and the various material options for your application, or check out our newest eBook, 5 Metal Spun and Hydroformed Items that Required Surface Finishing, to learn more about how we can assist in your project from start to finish. Need a float? We have you covered. Did you know that Helander Metal Spinning Company can fabricate the metal float for your application? We employ a combination of superior hydroforming, metal spinning, welding, and machining processes to fabricate floats in a variety of materials for a myriad of different industries. These floats are primarily used in level and flow measurement instrumentation, allowing for accurate reading while emptying or filling a tank, vessel, or well; or for monitoring liquid flow through a heating, air conditioning, or processing installation. We've even worked on floats that are responsible for managing the liquid levels in the tank of hydro excavation trucks! Want to learn more about our float capabilities? Contact us today. 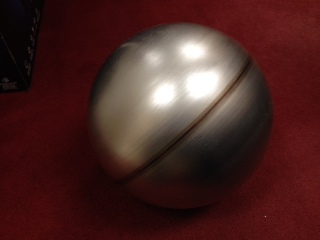 5.60” diameter X 12” to 32” long X 0.250” thickness X 6061-0 aluminum vessel. Metal spinning is a unique process that can be used to form complex shapes from aluminum steel, stainless steel, high-strength and high-temperature alloys, and many other metals. Metal spinning is a metalworking process by which a disc or tube of metal is rotated at high speed and formed into an axially symmetric part and is normally performed by hand or with CNC technology. Spinning metal is an inexpensive alternative to the stamping process, with a quicker processing time. Production prototypes can not only be designed on the fly but most changes to a design can be accomplished without added expense to the customer. Because spun parts have no seams, they can withstand higher internal or external pressures. This is due to grain structure of the metal spun part, which is realigned, improving the metallurgy, as well as improving the tensile strength of the material. This also allows for a lighter gauge material to be used, saving on material cost. Some examples are scuba tanks, CO2 cartridges, and oxyacetylene tanks. Other products that can be produced by metal spinning range from small hardware items made in large quantities, such as metal tumblers and automotive components, to large components for aerospace applications. Metal spinning can be used to cost-effectively produce single or a small number of parts out of expensive materials, such as platinum, or large quantities of components of low-cost materials, such as aluminum. Cost savings are further enhanced from the inherent smooth finish that spinning produces, often eliminating the need for additional machining. Other advantages are very low tooling compared to stamping, as well as very short setup and changeover times. The process is also eco-friendly with less waste being produced. Metal spinning provides an economical solution for products that require structural integrity. A wide range of shapes can be produced with relatively simple tooling. Here’s a video demonstrating the process at work. Carried out by the application of an even, force applied to metal uniformly by rotating the metal at very high rpm’s. Metal is deformed evenly in the metal spinning process without any wrinkling or warping. Can be performed by hand or by a CNC lathe. Virtually any ductile metal may be formed; ranging from aluminum or stainless steel to high-strength, high-temperature alloys. Diameter and depth of formed parts are limited only by the size of the equipment available. Improves the metallurgy by realigning the grain structure of the metal. Tensile strength is improved, allowing lighter gauge material to be used in the same application. Think metal spinning is the right solution for your business? It’s recommended that you drink at least eight glasses of water per day. What you may not know, though, is how you drink it is as important as how much you drink. If you’re drinking out of plastic bottles, you might want to think again. 17 million barrels of oil are used each year to make plastic water bottles, and in 2008, 189,000,000 plastic bottles were recovered from highways and parks. Furthermore, chemicals such as BPA and antimony, which have been used in plastic bottles, can be dangerous, especially to children and pregnant women. 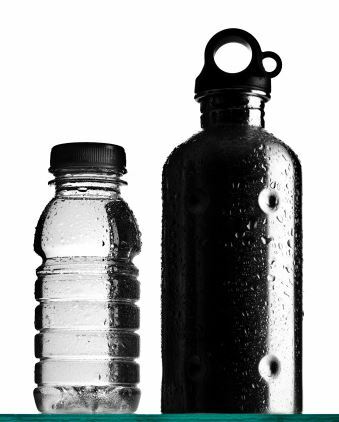 The solution: stainless steel water bottles, which are both safe and attractive, and as a bonus, help keep your water cold. How are these stainless steel bottles produced? You guessed it: metal spinning. Metal spinning is the ideal method for manufacturing stainless steel water bottles, capable of creating the perfect cylindrical shape. Metal spinning is simply the most successful way to form round, symmetrical commercial products, and other benefits include lower tooling and production costs, minimum set-up time, and pressure-resistant properties. When performed by a company such as Helander, with years of experience and expertise, the results are flawless, beautifully crafted, perfectly round bottles that are good for you, your family, and the planet. Drink up!